Premiering on September 30, 2001, Alias was created by J.J. Abrams before Lost and showcases its creators’ talents in creating intricate plot structures. It also offers a complex mythology that continued to grow during its five-year run. The action-packed first two seasons rank among the best of the TV spy genre and remain highly entertaining 10 years later. The latter seasons provided solid television, but they lacked the “can’t miss” feeling of the early episodes. Jennifer Garner stars in the career-making role that was tailor-made for her believable personality. Working with a remarkable cast including Victor Garber, Ron Rifkin, Michael Vartan, Carl Lumbley, and many others, she faces little pressure to run the show. 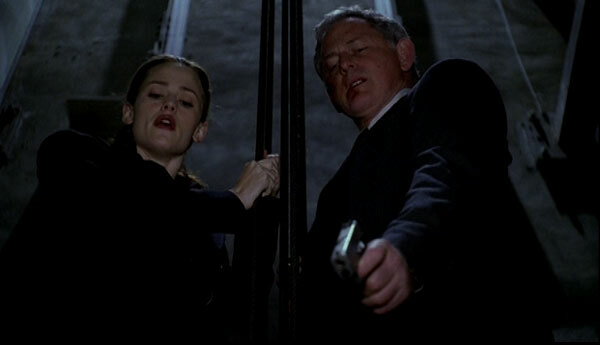 I’ve decided to revisit Alias during this marathon because nearly every episode involves a daring heist. Few shows have been able to pack fun and tension into action scenes on a weekly basis. Even the inconsistent episodes of the final season still include some wonderfully exciting sequences. Garner and her fellow agents trek across the world and steal key items from The Vatican, Rio de Janeiro, abandoned Russian nuclear facilities, and even an insane asylum. Nearly every episode in the first season ends with a cliffhanger, and many heists place them in dire jeopardy. Few shows have been able to create the believable sense of danger that’s present during this season. For that reason, I’ve chosen to revisit the two-part episode “The Box”, which cleverly turns the tables on the heroes and brings in a memorable guest star – Quentin Tarantino. 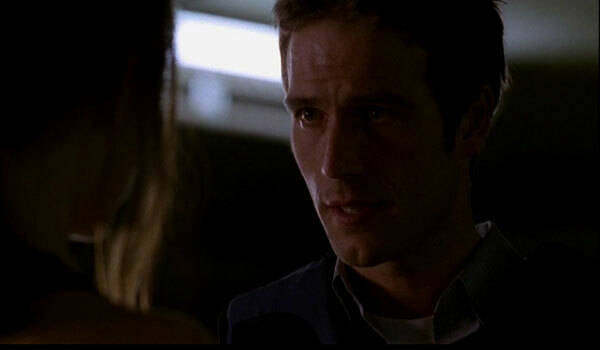 Previously on Alias … Sydney Bristow (Jennifer Garner) believes she’s working for a Black Ops unit of the CIA called SD-6. After revealing this profession to her fiancé Danny, he’s murdered by the orders of her boss Arvin Sloane (Ron Rifkin). She discovers that her employer is not the CIA but a massive criminal organization. Also, Sydney’s father Jack Bristow (Victor Garber) is the only other agent that’s aware of this deception. Her friends Dixon (Carl Lumbley) and Marshall (Kevin Weisman) have no idea they’re serving the enemy. Sydney must also hide her job from friends Will (Bradley Cooper) and Francie (Merrin Dungey) while she works with her CIA handler Michael Vaughn (Michael Vartan) to bring down SD-6. While she tries to bring down Sloane and his bosses, her discoveries tie back to a 15th-century inventor Milo Rambaldi, who created unbelievable devices and gave extremely accurate predictions. Whew. That was exhausting. The shows’ plots are so intricate that I barely scratched the surface of the plots for each individual episode. There were attempts to simplify the story in the later years, but none of that tinkering is present in the original season. “The Box” is the 12th episode and has talented enemies invading SD-6 to steal an important Rambaldi artifact. Their leader is the former SD-6 agent McKenas Cole, played with his unique style by Tarantino. I would never call him a good actor, but this role definitely fits with his personality. Cole is a fast-talking guy who thinks he’s a lot cooler than he actually is. 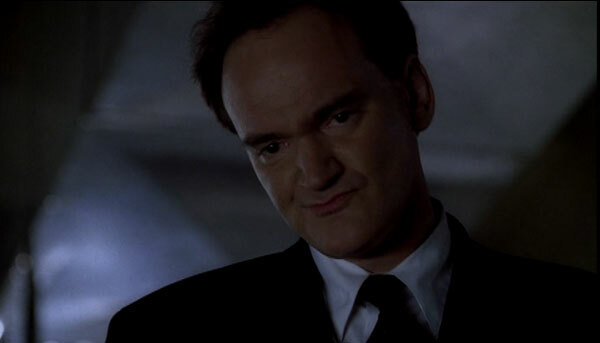 Wearing a black suit and strutting around SD-6 like he owns the place, Tarantino brings a different energy to the show that does wonders in small doses. He’s playing a weak-minded guy who masks past demons through an overly cocky attitude. The longer time frame gives Director Jack Bender (of Lost fame) the extra time to focus on character moments that might be lost in a single episode. We spend a good amount of time following Will’s investigation into SD-6 from a completely different perspective. He works as a journalist and is interviewing subjects who may hold the key to his understanding of SD-6. We also spend time at the CIA with Vaughn and his friend Weiss (Greg Grunberg) squabble with an irritating skeptic. These moments are secondary to the main plot, but they reveal how the serial arcs continue beyond Cole’s heist. At the start, Sydney is ready to quit SD-6 and risk retribution from Sloane, and these events change her tune. The stakes have rarely been higher, and the danger posed by even a goofball like Cole is definitely real. For an organization that strives mightily to remain a secret, SD-6 is surprisingly easy to infiltrate. Sloane focuses more on maintaining secrecy than creating an impenetrable location. Joined by his gang of hoodlums, Cole strolls inside and takes over before most agents can blink. Their heist is definitely reminiscent of Die Hard and involves drilling into a secure vault. Through a stroke of luck, Sydney and Jack become John McClain (times two!) and work to take out the henchmen surrounding Cole. Vaughn even disobeys protocol and bravely joins Sydney to help the fight. Their relationship was just getting started at this point, and this is an early example of Vaughn caring more for Sydney than a typical asset. She even asks him on a date, though it’s impossible if she remains at SD-6. This period of their relationship is more interesting than in the later seasons, which require the producers to introduce awkward obstacles to keep them apart. “The Box” includes many classic moments that remind me why I love this underrated show. Ron Rifkin’s Sloane is one of the great bad guys and remains in control even when Cole is torturing him with his “Needles of Fire”. He waits for the right opportunity to strike and then uses a few well-timed statements to push Cole over the edge. We also see how Sloane’s willing to sacrifice his own body to keep their organization afloat. The consistently awesome supporting players Marshall and Dixon also get chances to shine while offering a distraction for Sydney and Jack. These guys are one of the main reasons why the series is more than just a star vehicle. 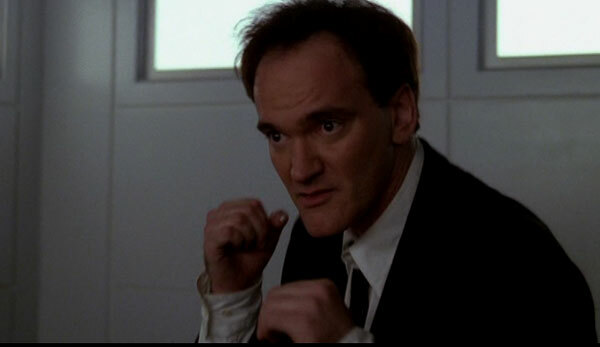 Finally, I have to mention Tarantino’s fight scenes, which show him actually beating up both Garner and Lumbley. I can imagine the geeky side of his personality really showed as he prepped for the big punches. It’s amazing how well-timed editing can make even this guy look like a badass. Thankfully, his fun character is perfect for this universe, and it’s yet another reason to definitely put Alias on your must-see list. Great review! 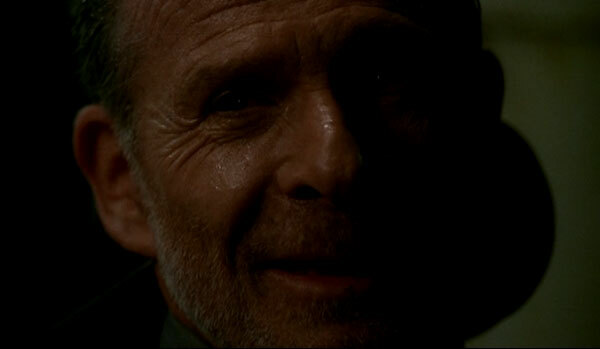 I love these episodes- they're a perfect showcase for everything Alias gets right in its early seasons. Thanks for including it. Thanks Kate! There were a lot of great options from the first season, and I felt like this was one of the best examples. I appreciate the comment. Another show that I have never seen. I know that it got lots of mentions in my recent Bradley Cooper list. Maybe I should give it a try. I probably mentioned this when you did the Bradley Cooper list, but I'd definitely suggest checking out Alias. It starts really strong, so you'll know within 3-4 episodes if you're interested enough to keep going. I got into it the first time around episode like 14 or something... I recently went back to re-watch and the first 6 or so Episodes are reaaaaaaally slow. So I'd say stick with it beyond the 3-4 episodes even if you don't warm to it right away. It gets amazing towards the Season's end.